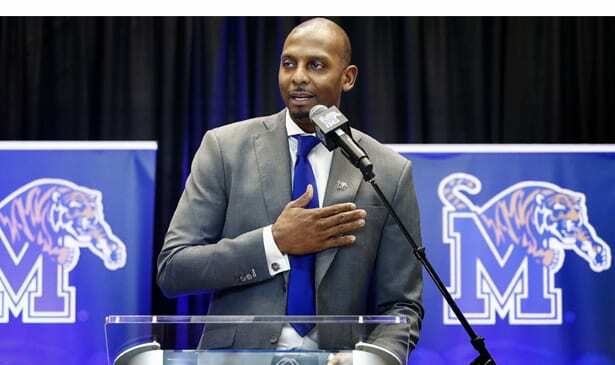 New coach and former Tiger and NBA star Penny Hardaway has been a big reason for renewed interest in University of Memphis basketball for the 2018-19 season, while sparking a resurgence in season ticket sales. They haven’t played a game yet, but there is already considerably more anticipation and excitement around the University of Memphis basketball program than in the last couple of years. Since the hiring of former Tiger and NBA star Penny Hardaway in March, the mood has shifted from gloom to high expectations, something reflected in a major increase in season ticket sales according to University of Memphis officials. “It’s vastly different than last year,” Assistant Athletic Director Adam Walker told the Memphis Commercial Appeal. “You can see the difference. It’s impressive what we’ve sold in a few months.” For the 18 game home schedule at Fed Ex Forum the team announced that already almost all the floor seats, a majority of the lower bowl and club level, and a large chunk of the terrace level seats have been sold. In addition, there’s been a huge boost in both ticket sales and donations for not only the 2018-19 season, but the 2019 fiscal year as well. Donations for the team last year topped out at $2 million. So far this year they are at $4.8 million. There’s also been a $4.5 million boost in ticket sales. Attendance dipped to an alltime low last season, with only 4,583 fans per game for the 19-game home slate. That huge drop eventually cost the athletic department an $800,000 bonus, as there’s an attendance clause built into the lease that they have from the Memphis Grizzlies and Fed Ex Forum. But there should be no worries about any of that this coming season. The Tigers have also revamped their coaching staff, adding former NBA player Mike Miller and onetime NBA Coach of the Year Sam Mitchell to the staff. Plus, Hardaway’s son Jayden, a six foot, five-inch guard, and four-star point guard Alex Lomax have been Hardaway’s first two recruits. While he publicly cautions fans against unrealistic optimism, at least one thing is clear: University of Memphis basketball is back on the radar again.